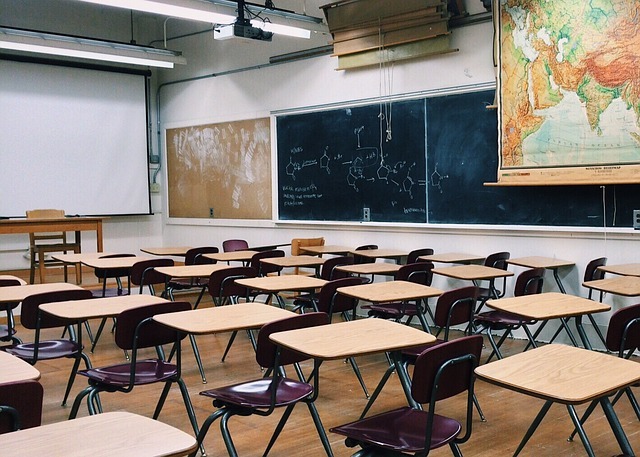 MANHATTAN (CN) – Emphasizing the much stricter standards to which New York holds its public school teachers, the state’s largest teachers union filed suit to vacate the “watered-down system” adopted this week for certifying educators in 167 charter schools. “Among other things, in terms of education, the regulations would eliminate the need for a teacher to ultimately achieve a master’s degree or even, it seems, achieve bachelor’s degree,” the complaint states, filed on Oct. 12 in Manhattan Supreme Court. “Further, they would have the effect of leading potential educators through an essentially fake certification process, one not valid for employment in New York’s public school districts, other charter schools, or the public schools of other states,” the complaint continues. Joined by Local 2 of the United Federation of Teachers Local 2, the New York State United Teachers union filed its lawsuit alongside a pair of teachers who work for two of the 167 charter schools authorized by the SUNY board. They are represented by Latham-based attorney Robert Reilly, Adam Ross for the United Federation of Teachers, and the firm Stroock & Stroock & Lavan. Central to the complaint is the claim that the SUNY Charter Schools Committee is restricted to oversight and lacks authority to adopt regulations. “The commissioner [of education for New York] has the sole authority to issue teaching certificates and to promulgate regulations for teacher certification – for all teachers,” the complaint states. Representatives for SUNY have not returned a request for comment. The teachers’ union says the committee began touting “less rigorous teacher certification requirements for charter schools” this past July, its limited authority notwithstanding. As adopted on Oct. 11, the regulations in question include an “increase in the number of hours of instruction required, a decrease in the number of teaching experience hours required, and the addition of a single examination,” according to the complaint. The teachers’ union says these rules were finalized despite last-minute changes that were not subject to the proper notice-and-comment period. Public school teachers — who cannot be certified without a bachelor’s degree it should be noted — meanwhile are required to complete more than “70 ‘semester hours,’ each of which represents multiple hours of instruction over the course of the semester at an accredited college or university, with over 50 of those ‘semester hours’ in general education core, content core, and pedagogical core studies,” according to the complaint. Public school teachers cannot be certified, the union says, without passing three examinations: the teacher performance assessment, the content specialty test and the Educating All Students test. UFT President Michael Mulgrew offered a theory as to the need for such watered-down requirements in a public-comment letter to the committee this summer. “That some charter chains, facing high levels of teacher burnout and departures, cannot appropriately staff their schools is not reason for the state to radically depart from its decades-long effort to ensure a highly qualified teacher in every classroom,” Mulgrew wrote. Those who will be hurt most are the children, the complaint notes. As Education Commissioner Mary Ellen Elia and Betty Rosa, the chancellor of the New York State Board of Regents, noted in their public-comments letter to the committee, “students of color, those that are economically disadvantaged, and students with disabilities” make up a large demographic for SUNY-authorized charter schools.